Nuclear power and synthetic fuel are two of the U.S. government’s biggest endeavors on energy technologies in the twentieth century. Americans were told that nuclear power would make electricity too cheap to meter, and the hope was that synthetic fuels would free this country from dependence on foreign oil. However, neither technology has fulfilled its promise. Nevertheless, their stories bear important lessons. The trajectories of these two energy technologies—nuclear power and synthetic fuels—differed sharply and peculiarly. In the case of nuclear power, steady and strong political endorsement forced rapid development for decades. A civilian nuclear power industry was in place by the 1970s, but the industry became dormant shortly after it was established in the United States. Long after the dormancy of the business, nuclear proponents continue to maintain their faith in the technology and believe nuclear power will eventually make a comeback. In the case of synthetic fuels, the government’s effort observed boom-and-bust cycles. The latest endeavor in the 1980s failed miserably and left the synfuels program with the reputation of being wasteful and, to some, a symbol of government squander. This book is a comparative study of two energy policies that illustrates how and why technical fixes in energy policy failed in the United States. In the post-WWII era, the U.S. government forcefully and consistently endorsed the development of civilian nuclear power. It adopted policies to establish the competitiveness of civilian nuclear power far beyond what would have occurred under free-market conditions. Even though synthetic fuel was characterized by a similar level of economic potential and technical feasibility, the policy approach toward synthetic fuel was sporadic and indeterminate. The contrast between the unfaltering faith in nuclear power and the indeterminate attitude toward synthetic fuel raises many important questions. The answers to these questions reveal provocative yet compelling insights into the policy-making process. The author argues that these diverging paths of development can be explained by exploring the dominant government ideology of the time or “ideology of the state” as the sociology literature describes it. The forceful support for nuclear power was a result of a government preoccupied with fighting the Cold War. The U.S. national security planners intentionally idealized and deified nuclear power to serve its Cold War psychological strategy. These psychological maneuverings attached important symbolic meaning to nuclear power. This symbolism, in turn, explains the society-wide enthusiasm. The fabricated myth of the Atomic Age became a self-fulfilling prophecy and ushered in a bandwagon market. On the other hand, a confused, indeterminate, and relatively powerless welfare state stood behind synthetic fuel. The different ideologies of the state explain the government’s different attitudes toward nuclear and synfuel endeavors. The overarching discovery is a mode of “belief-based decision-making” in long-term energy planning. This discovery goes against the prevalent assumption of rational choice in social sciences. The author argues that rational-choice assumption is inapplicable because of the extreme long-term nature of energy planning. It is not usually possible to predict the sociopolitical and economic conditions in the distant future. Rational decisions require supporting information, which often includes impossible long-term foresights. One cannot rationally choose between one unknown and another unknown. Pivotal decisions in long-term energy planning must inevitably be belief based, and beliefs are subject to political manipulation and distortions by social mechanisms. Understanding these peculiar but pervasive characteristics of energy business bears important lessons for today’s decision making about energy technologies, and the stakes, if anything, are even higher than before. 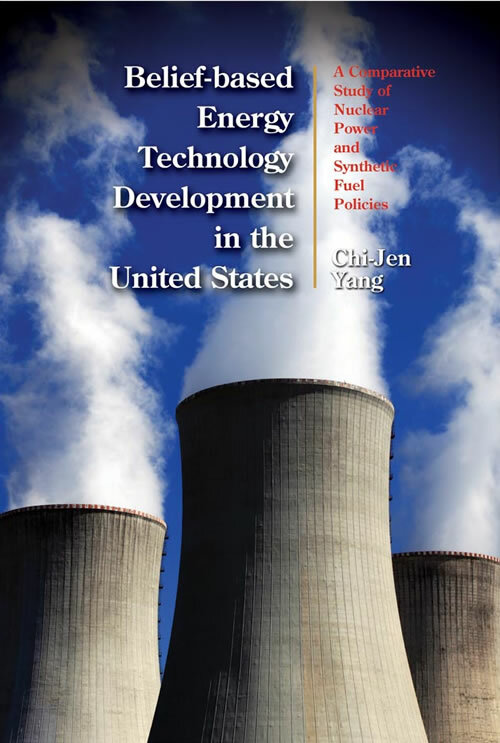 Energy policy communities; historians of the Cold War, American history, and technology; and sociologists would find this book an invaluable resource.